The number of risks associated with setting an R&D and product development strategy and budget are large. Choosing the projects, and the balancing of the resultant company product portfolio, has even more possible risks. Then, too many to count, come all the risks associated with developing, testing, and launching each project investment. Lastly, there are the commercialization risks before one gets to close the loop; and actually validate if the initial investment decision was correct. Oh, don’t forget the risks incurred with numerous “corrective actions and changes of the original decision” that are incurred as the project investments make their way from concept to the customer. Where does one start? R&D and Product Development Risk is tough subject to tackle in 600 words. 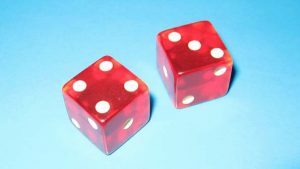 Rather than parsing the subject too finely and develop a list of ten or twelve and writing a sentence about each, you will hopefully think this is a more cerebral approach to select five “key risk types” and argue that they cover the bulk of the key business risks of product development. “Supply Chain” and “Talent” are new to what one might have described as the historical list. The list one would have constructed up until the era of globalization and the advent of the software-connected world. Historically, one would have called out Manufacturing Risk as a top five in the days of vertically integrated industries. This risk is now subsumed into Technical Risk and Supply Chain Risk (which is also more consistent with industry’s “DevOps” direction). The other risk that would likely have made the historical top five is Market Risk. In a global world with product and sometimes technology life-cycles of a few years, Market Risk approaches being synonymous with Technical Risk plus the planned duration of the product in the Product Portfolio Risk. Meanwhile, the company Supply Chain now accounts for near 80% of product costs; and the influence of that percentage on product and business success or failure. A good deal of a company’s innovation process is now at risk to the outside, including invention, execution, commodity, and currency risk. As for Talent’s rise to a top five, the importance of Talent has been on a steady rise since the advent of the industrial revolution – and just keeps rising. It is especially important for R&D and Product Development as it is (still) people that invent products and those people typically account for near 80% of company R&D budgets. People used to stay with companies for years. Now, the near stable asset that was reflected in 80% of all costs is one that must constantly be maintained or the consequences are great. The 5 Risks of Product Development [Machine Design – March 2017] outlines some of the primary parameters of each risk area and the author’s reasons for selecting these five specific topics from among the myriads of risks. Please consider following GGI on Twitter. This entry was posted on Sunday, April 2nd, 2017 at 10:00 pm	and is filed under Blogroll, Strategy, Tactics. You can follow any responses to this entry through the RSS 2.0 feed. You can leave a response, or trackback from your own site. Enjoyed this article! I’ve found talent and technical risks to be key in the software development projects I’ve worked on. My projects may not exactly be product development, but nonetheless the risks apply.